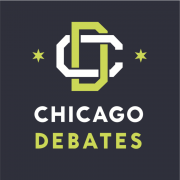 Chicago Debate League participation is proven to significantly improve academic achievement and college readiness for at-risk students and students across the academic spectrum. The researchers applied sophisticated statistical analysis to compare debaters to similar students who did not participate in debate. This enabled them to better isolate the influence of debate on academic achievement across the academic spectrum. The researchers concluded that debate programming in Chicago is producing an academic impact on college-readiness metrics that even some of the most esteemed after-school programs in urban education are not able to produce. 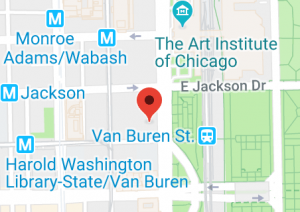 · More likely to graduate: Students who participated in the Chicago Debate League were “significantly more likely” to graduate from high school than comparable non-debaters. This was true for students across the academic spectrum. · ACT scores higher across the academic spectrum: Participation in debate was associated with significantly greater likelihood of scoring at or above the college-readiness benchmarks on all four ACT sections. · Higher GPA’s: Debating in the Chicago Debate League led to gains in grade-point average every semester a student continued to debate. In contrast, GPA remained flat overall for high school students not involved in debate. · Higher graduation rates: The proportion of African American males who graduated was nearly 70% greater among debaters compared to non-debaters. · Higher ACT scores: African-American males were twice as likely to score at or above the college readiness benchmark on the English ACT and 70% more likely to score at or above the college readiness benchmark on the Reading ACT than those who did not debate. · Higher GPA’s: Among African American male students, debaters’ GPAs were on average .75 points higher than non-debaters. · African American male debaters who participated in 25 or more rounds in high school (about one full year of debate) had significantly higher GPAs than those who participated in 5 or fewer rounds. · More likely to graduate: Students who participated in the Chicago Debate League were “significantly more likely” to graduate from high school than non-debaters in every risk group. · Higher ACT scores: After adjusting for demographic and risk variables, debaters in every risk group were more likely then non-debaters to reach the college-readiness benchmark on the English, Reading, and Science sections of the ACT.